All e-juice is not the same. Obviously different brands will have distinctive tastes. But even within one brand, the e-juice can vary blend-to-blend, each with its own distinct flavor, strength and feel. E-juice flavors and nicotine strength are the most noticeable determining factors in a particular blend, but there is still one other important part of what gives e-juice its taste: propylene glycol (PG) and vegetable glycerin (VG). 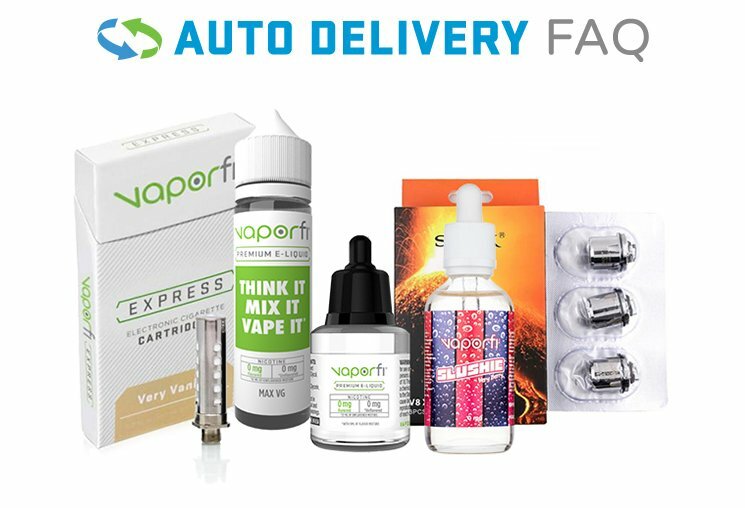 It's fair to say the e-smoking community is evenly divided when it comes to which e-juice base is best: 100% PG or VG, or a ratio of the two – all e-juices available at VaporFi are a mix (70/30, PG/VG mix), providing users the best of both worlds. Visit our e-smoking learning center to read about the characteristics of PG-based e-juice. Having the term "glycerin" in its name probably doesn't make VG sound particularly safe, but don't be alarmed. Vegetable glycerin in nothing like nitroglycerin—the chemical used in making explosives. Also known as vegetable glycerol, VG is a carbohydrate extracted from the oil in plants (that's where the "vegetable" part comes from). All VaporFi e-juices are sourced exclusively from Malaysian Palm and by only the highest quality producers, so most peanut allergies are not an issue. Glycerol is one of the most organic substances on the planet and is therefore easily metabolized by the body. Because of its benign nature, the likelihood of having an allergic reaction to VG is extremely low, which makes it a popular substitute for the harsher throat hit of e-juices that contain mostly PG. E-smokers who do still experience dry mouth, sore throat or increased thirst after using VG-based e-juice typically notice these symptoms disappear after a few days to a week as the body begins to adjust. These symptoms can also be reduced or prevented by drinking lots of water during your first few weeks of e-smoking. E-juice blends can be pure PG or pure VG, but more often than not, they contain a little bit of both. The ratio of VG to PG is sometimes represented as a percentage. For example, all VaporFi e-liquids contain 70% PG/30% VG, or a 70/30 ratio. We have found that a 70/30 mix is the just the right blend between the intense flavor and strong throat hit of PG and the luscious vapor clouds that most e-smokers desire. What's more, here at VaporFi we sell only 100% USP Grade, diacetyl-free VG-based e-juice. All of our formulas are registered with the FDA* and GRAS-approved, meaning they are one step above "food grade." Plus, we let you create your own custom e-juice blend. Get started today and choose from over 30,000 possible flavor combinations!